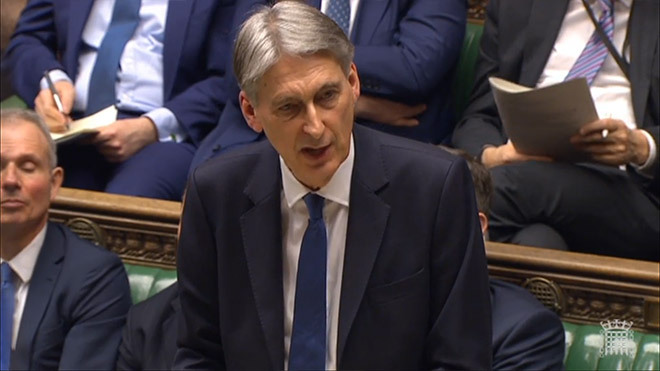 Philip Hammond delivers his Budget 2017 speech in the House of Commons. Paperwork released with the Budget has revealed what an astonishing short-term money spinner so-called “pensions freedom” has been for the Treasury – and hinted at what a disaster it might prove for our ability to provide for old age. Originally announced in Budget 2014, pensions freedom allows those savers with defined contribution pensions to withdraw their funds from age 55, subject to tax paid at their marginal rate. The assumption was that it would raise a rather tasty £300 million for HM Treasury in 2015-16 and £600 million in 2016-17. This was always deeply uncertain because the policy it was a leap into the unknown. Low-and-behold, this short-term cash grab has turned out to be a rather rich one. It raised £1.5 billion in 2015-16. The Office for Budget Responsibility estimates another £1.1 billion will roll in in 2016-17 and the tax take will peak at £1.6 billion in 2017-18. We don’t know whether people understand their tax liabilities. Do they know that taking a lump sum can push them into top tax brackets? Or have many faced a nasty shock? We don’t know if it is driven by suspicion of pension providers. We don’t know what people are doing with those savings, though there are some suggestions of a boom in, um, cosmetic enhancements. We don’t know if those cashing in have other savings. What we do know is that once this money is spent it will no longer be available for providing for people’s old age. And it also risks creating a cultural norm of cashing in a pension at retirement, or even a decade before. With lacklustre wage growth continuing to put household budgets under pressure, the lure of such a pot of money is understandable. Therefore today’s figures make it even more inexplicable that the government failed to allow state-backed pension provider NEST to move into the retirement income space. There is a huge amount of behavioural economics evidence about why we are not very good at making decisions about pensions. We underestimate average life expectancy and our chances of living longer than that. We do not understand the effects of compounding inflation. We do not know how to balance the benefits of future income against spending today, and tend to favour the latter. So if the pension system is to properly serve savers we have some hard thinking to do about whether we need new products or even new institutions. We need to understand the choices the typical retiree wants to make and how we can set up structures that help them make sensible choices. In the meantime, money saved for decades is flowing out of the pensions system, and much of it is heading straight for the Treasury.